ONE is a new performance that evolves organically to inhabit bars, museums, concert halls and arts spaces around the UK. ONE can be noisy, immersive, serious, rough, refined, gentle, playful. ONE feeds on freshly commissioned music. ONE shifts and changes with every incarnation, reacting to the people and places it finds. ONE is a single entity. ONE is many connected entities. I created a site responsive visual installation with film score for this project. 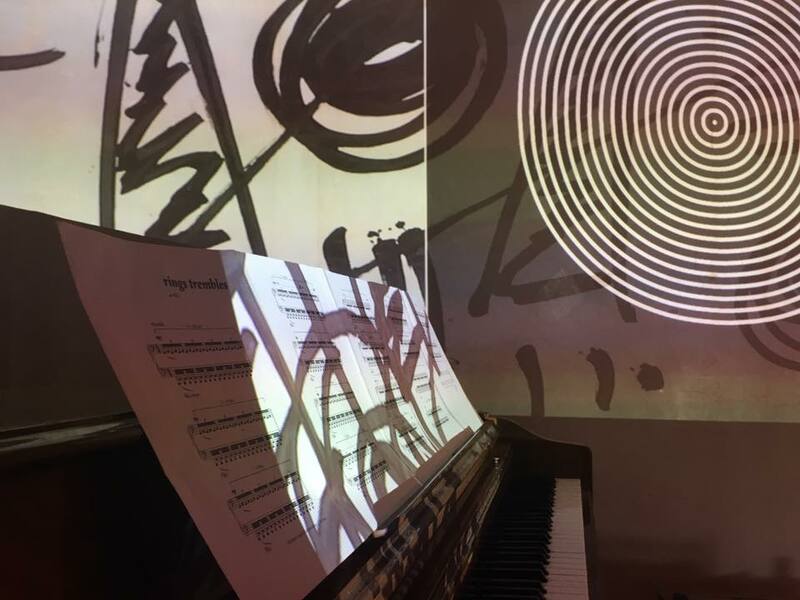 This episode of the podcast returns to our 2017 Composer-Curator series, reporting on queer sound in Birmingham, DIY sonic experiments in Huddersfield, and site-specific piano music in Brighton. We speak to Trevor Pitt about gender and sexuality in music, Ryoko Akama about improvisation, and Jacob-Thompson Bell about his carefully curated piano programme, ‘ONE’.